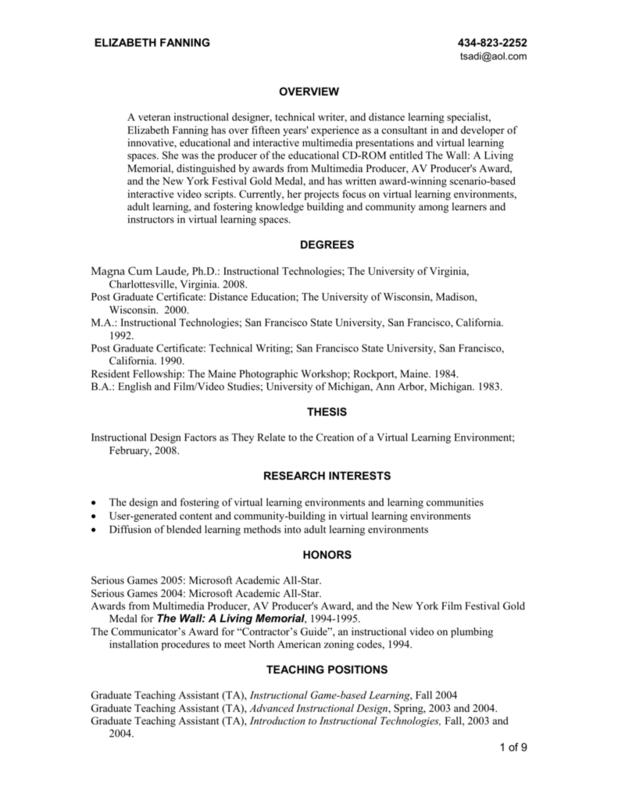 instructors in virtual learning spaces. M.A. : Instructional Technologies; San Francisco State University, San Francisco, California. Resident Fellowship: The Maine Photographic Workshop; Rockport, Maine. 1984. B.A. : English and Film/Video Studies; University of Michigan, Ann Arbor, Michigan. 1983. Serious Games 2005: Microsoft Academic All-Star. Serious Games 2004: Microsoft Academic All-Star. Medal for The Wall: A Living Memorial, 1994-1995.
installation procedures to meet North American zoning codes, 1994. 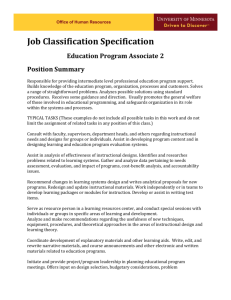 Graduate Teaching Assistant (TA), Advanced Instructional Design, Spring, 2003 and 2004. Currently researching how to use webconferencing tools to facilitate learning through roleplaying games in adult learning settings. intended learners for a self-paced online curriculum. Biomedical Nanotechnology. Currently under review for publication. Literacy. The International Journal of Technology, Knowledge and Society. June, 2008.
teaching humanism in medicine, and what is working.? September, 2007.
Review of CyberTherapy and Telemedicine. June, 2007. Journal of Information and Communications Technology Education (IJICTE) OctoberDecember 2006,2 (4). Fanning, Elizabeth (2005). 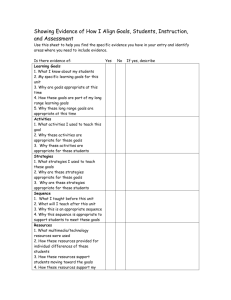 Formatting a Paper-based Survey Questionnaire: Best Practices. presented at the CyberTherapy 2007 Conference, Washington, DC. No One Wants to Hear. Medicine Meets Virtual Reality; Long Beach, CA. Disabled with a Game. Games for Health; Baltimore, MD. The Administration on Aging, Washington, D.C.
community among the intended learners.  Provided instructional design for blended and fully online courses.  Produced support and outreach materials. learning management system and webconferencing software. EDLF 801, Advanced Instructional Technologies, and EDLF 703, Educational Game Design. the support of available technology. existing workshops to multi-platform distance learning delivery systems. 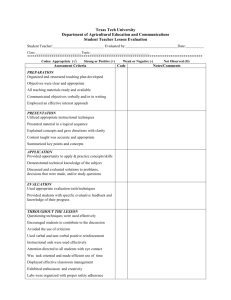  Created a learner support strategy to provide instructional support and mediation.  Developed an interactive course guide to accompany the revised and uploaded courseware. adult basic skills, and created the design documents and course outline for the courses. learning and employability test taking.  Provided production schedule and managed teams to meet milestones. Created interactive job aids to support new and current project managers in managing ITbased projects. the focus and qualify of instruction and communication. money management, from basic banking skills to negotiating a mortgage. resources to research and promote document solutions. sales professionals on developing sales strategies and meeting customer needs.  Edited storyboards written by other instructional designers for print, computer, and webbased instruction.  Edited test questions for an online SAT preparatory course. designed for museum and National Park clients. corporate construction job from bid to closeout.  Converted print-based courseware for distance learning delivery.  Converted existing courseware on management development to online delivery. Designed online assessments to identify learning needs for technical support personnel. 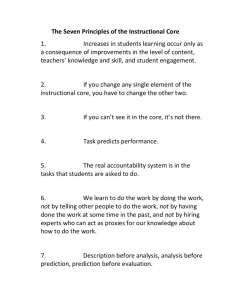 to improve student retention and instructional strategies. 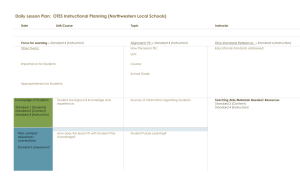  Converted existing standup course materials into a self-directed curriculum. consultation, and manage Congestive Heart Failure and Chronic Pain conditions. graphic production, programming, and regression testing. basic mouse skills for new computer users. professionals, network and software developers.  Created online documentation for a network-based medical office management system.  Converted additional existing courses to distance learning formats as well. use ERP (Enterprise Resource Planning) software, including its relational databases. marketing, sales, and finance specialists. use AutoCAD as well as related database and scanning tools. specific online and off-line tools to compute Present Value, Yield, and related values. biological causative agents ("weapons of mass destruction").  Coordinated content development and consulted on delivery system strategies. heart surgery; assets included MPEG video. medical illustrators, vendors, and subject matter experts.  Created design plans, storyboards, and scripts for intranet training and reference materials.  Wrote reference materials and developed worksheets and job aids for hardware salespeople.  Researched and developed an online reference and tutorials. community services available for people with HIV as well as their friends and families.  Developed three content channels for MSN. Association, used for promotional and public education purposes. Magnet Interactive Studios, Washington, D.C.
 Managed teams of up to fifty people at a team to produce new media instruction. wrote promotional materials for print and audio-based marketing purposes. milestone schedules, and coordinated production team.  Co-produced prototype for The Vatican Libraries in conjunction with IBM and The Vatican. Health, and The Good Opera Guide. video won The Communicator’s Award, 1999.
psychologists on The Ethics in Counseling. accounting software developed for the Army National Guard. learning strategy to deliver RMM software and state-specific policy training. Program, a multimedia Adult Basic Skills presentation.  Performed task analyses and developed online instruction to support systems training. curriculum for the US Navy. coordinate Hispanic traffic safety programs throughout the country. curriculum for courses in Social Sciences and History. 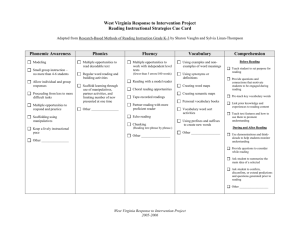 resources to implement and complete said projects. 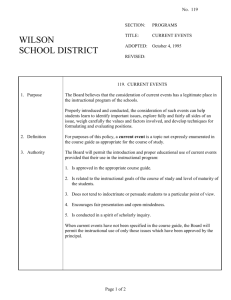 between museum and school district personnel.  Ran the production of an online computer-based training project for estimators and engineers.  Created illustrations for HyperCard for Fish, documentation for HyperCard 2.0.